Original map measuring 18 1/2" x 23". .
Newburg's First Hundred Years. January First 1884-1984. Rolla, Missouri: Bixler Printing , 1984 104 photo-illustrated pages to help celebrate the Centennial. Uncommon/scarce printing about this tiny town of about 500, in central Missouri. (Seems rather odd as this author did another Newburg history, a Bicentennial dated 1776-1976, 8 years prior to this one.) Includes the "Centennial Days" newspaper section from the local paper 'The Newburg Independent'., June 14-15-16 1984. . First. Illus. by Photos & PC's. Bagged & Boarded for Posterity. Newburg, Missouri: Bicentennial Committee, 1976 53 photo-illustrated pages. Uncommon/scarce printing about this tiny town of about 500, in central Missouri. . First. Illus. by Photos & PC's. Bagged & Boarded for Posterity. The Doomed City - First Edition, 1906. The Earthquake and fire in San Francisco. 1906 Laird & Lee, Publishers, Chicago, IL, 1906. Hardcover. Condition: Very Good. Dust Jacket Condition: No Dust Jacket. First Edition. This is the story of the San Francisco earthquake and fire of 1906, told by a survivor. "A vivid and graphic tale of the world's greatest catastrophe, the direful cataclysm that convulsed the golden shores of the land of promise, realistically described by one of the refugees; an authentic story of the great calamity with a full history of many marvelous and astounding escapes from the jaws of death. Profusely illustrated with characteristic pictures of the horrible storm of fire and flame; many fascinating and terrible scenes of falling buildings, government troops dynamiting mammoth steel structures, escaping refugees and other interesting views of the appalling havoc wrought by the earthquake in San Francisco, Santa Rosa, San Jose, Napa and other California cities." Well illustrated. 186 pages. Book is in near fine condition; only minor wear to cover, text pages clean and complete. Pictorial cover; no dust jacket (as issued). . Bagged for Preservation. RHYOLITE - Death Valley''s ghost city of golden dreams' (Southwest Panorama number one) First Printing, 1953. 1953 Calico Press Feb 1953, 29 Palms CA, 1953. Condition: Near Fine unmarked. Stated 1st Printing.. Illus story of a Nevada ghost town.. Bagged & Boarded for Posterity. Silver Strike - 1932 First Hardcover Edition. 1932 Dust jacket present, affixed to the boards..
St. Paul: Minnesota Historical Society, 1970, 1970 White Cloth, Gilt Titles. VG. 2 volumes.. Very Good+. Blue Print & Letter Co., 1972. Soft cover. Condition: Very Good. 1st Edition. Montana Memories Vol. IV. Stories about Montana including the Civilian Conservation Corps and during World War II. Illustrated. Flat signed by the author above the title on the 1/2 title poage. 146 illustrated pages. Near Fine. By Author. Archival Conservation Sleeve. 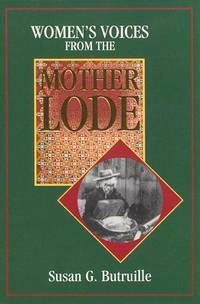 California State Library, 1996 Windgate Press, (Sausalito, California, 1996. Hardcover. First edition thus. Oblong quarto. burgundy cloth lettered in gilt, pictorial endpapers. "This recreation of the rare 1895 Illustrated Directory [published monthly in nine installments between November 1894 and August 1895] lists hundreds of businesses and merchants, names that helped make San Francisco the Queen City of the West". 156 beautifully illustrated pages. . Had. About Fine/Near Fine. Oblong. Archival Wrapped DJ. Tamarack Books, U.S.A., 1998. Trade Paperback. Book Condition: Very Good. 1st Edition. 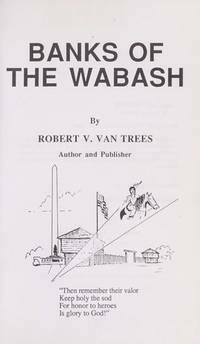 1st edition, 1st printing. Flat signed & dated 1999 by author on the title page. mild wear. . Author. First. Digging for Gold without a Shovel: The Letters of Daniel Wadsworth Coit, from Mexico City to San Francisco, 1848-1851. First Limited Hardcover (1/1200) Edition, 1967. Old West Publishing Co., Denver, 1967. First edition. One of 1250 copies printed by Lawton and Alfred Kennedy. Introduction by George P. Hammond. Quarto. 116pp. Frontis portrait, 16 plates. Red pictorial cloth stamped in black & gold. A Near fine copy with the original clear plastic book cover (rear taped). An interesting series of letters from Coit to his wife describing Mexico City during the war with the United States, and California during the height of the Gold Rush. Eight of the plates reproduce his realistic sketches of San Francisco and of Benicia. Nine sketches of Mexico in 1848 are also included. [Kurutz: 142]..
Yorba Linda: Its History - Signed First Edition Hardcover in Dust Wrapper. Santa Ana, CA: Pioneer Press, 1970 Signed to family members 'Aunt March Butz' in 1970. Uncommon thus. . And Inscribed. First. Hard Cover. NF/VG. Archival Wrapped DJ. Manitou (Colorado): Paul Goerke & Son ca. 1920, 1920. Book Condition: Very Good. oblong quarto,  pp., illustrated throughout including the Balanced Rock, the Mushrooms are rock formations; original printed paper, edges sunned/faded. . Bagged for Posterity. In the Shadow of the Alamo, and Other Texas Tales - First Printing Hardcover, 1906. 1906 G. P. Putman's Sons, New York, 1906. Hard Cover. Book Condition: Very Good. First Edition. Green cloth with gilt decorations, many illustrations, lightly wear with some old moisture stains to the rear and spine, owner names on the 1st 2 pages. . First. VG. Palo Alto, CA: American West, 1969 Archival Wrapped DJ. Near Fine/VG+. First.. Hardcover. Near Fine. Book. Boston: Stratford Co., 1930., 1930. Only Edition of a scarce privately printed prose meditation with photographs of desert scenes of the Southwest or Northern Mexico. 8vo, 105pp, french-fold, plus 25 b/w photos by Gandara.. Very Good. Publisher: Time Life, NY 1973-1979 Time Life, NY 1973-1979. 4to, 8 1/2" x 11". Bound in decorated brown faux leather with oval full color art work on the front covers, gilt lettering and decoration on the spines. 24 volumes. All in Very Good to Fine condition..
Topeka, Kansas: Crane & Co., 1922 A first book by this Tombstone, AZ resident. Quite scarce. The 1st 2 pages are edge chipped with a little water staining along the page edges as well. Nice faux leather covers with pine cone and cactus design to the front cover. 101 pages of poetry and prose.. True 1st. Good+. Small 8vo.. Bagged & Boarded for Posterity. Flagstaff, Arizona, U.S.A.: Northland Pub, 1979 ISBN 0873580982 Flagstaff: Northland Press, 1972. Full brown cloth binding. 145 pp. Illustrated by Joe Beeler. Dust jacket, with a small tear to the bottom edge of the FC, else near fine, in protective mylar cover. Flat-Signed by Author. First Edition. Hard Cover. Fine/Very Good. 8vo. Limited edition of 135 copies ststed, this is #118. 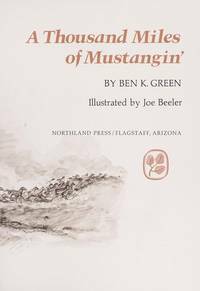 Includes "if I he" on page 130, line 11.; Drawings; Small 4to 9"-11" tall; 145 pp; Green's adventures chasing mustangs through the Big Bend country of Texas, northwest Mexico, and Arizona. Fairborn, Ohio, U.S.A.: Robert V Van Trees, 1986 By Author, 1986. Clean tight intact. First Edition. Details one of the worst American defeats ever by the Indians in a battle at Fort Recovery located in what is now Ohio. American forces under General Arthur St Claire were soundly defeated in 1791.. Illustrated Wraps. Near Fine.